Discussion in 'Music Corner' started by pghmusiclover, Mar 22, 2018.
jay.dee, Beamish13, fitzrik and 10 others like this. I thought there’d be a little more excitement about this! vince, sentinel90125 and Front 242 Addict like this. sentinel90125, pghmusiclover and Front 242 Addict like this. Very Exciting and interesting news! As a fan of the Magnificent Dead Can Dance I am looking forward to the album! 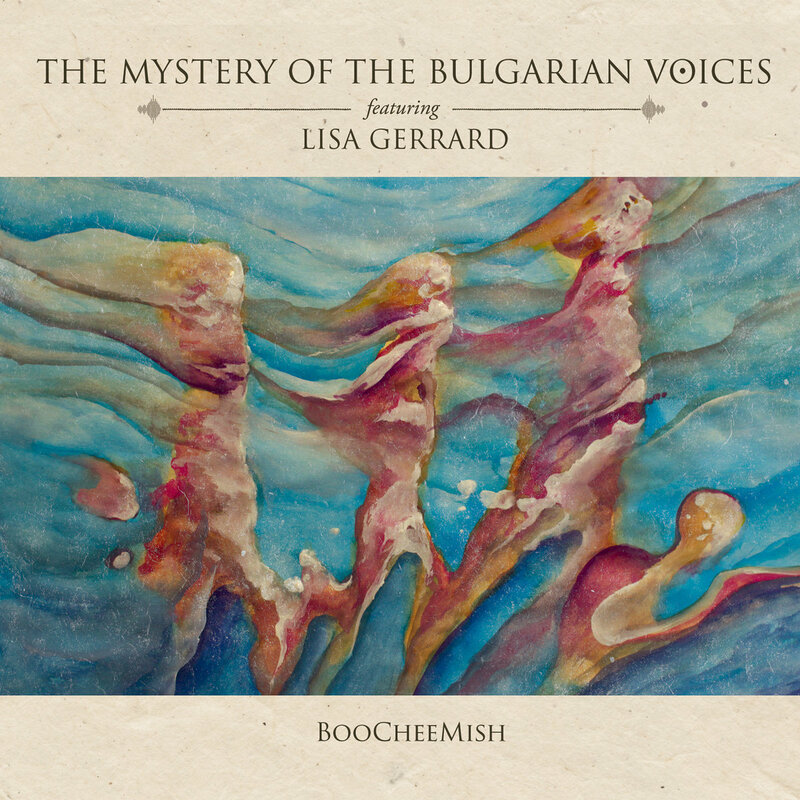 Lisa Gerrard and the Mystery of the Bulgarian Voices- such a collaboration is a wonderful idea! the song filled with Emotion and beauty. willy, sentinel90125 and pghmusiclover like this. We've got the 45 (which is great) and are waiting somewhat impatiently for the release of the full disk. pghmusiclover and Front 242 Addict like this. Here is a live performance of one of the album tracks. It gave me chills! Cousin It, Mr. Bill, Front 242 Addict and 1 other person like this. I just rebought the first Bulgares album on 4AD funnily enough. I bought the CD years ago and played it to death, but went to play it recently and couldn’t find it. Front 242 Addict and pghmusiclover like this. There is apparently a deluxe version that includes the vinyl, double CD, SACD, and some art prints! jacek2, Front 242 Addict and Mr. Bill like this. If I hadn't gone back 14 pages I wouldn't have seen it. It's right above a thread about which albums use the Cooper Black font on their covers. Ignatius and pghmusiclover like this. Well, as a longtime fan of the music, I'm excited. I bought the first album as a cut-out in the summer of '69, got the cds of the redone songs in the when they were released in the 80s, and saw the ensemble perform at SMU in Dallas in April 1990. I won't put out for the deluxe set and I won't buy a turntable, etc. just so I can listen to the vinyl, so I sure hope it'll be available on cd. Darn! If there was only some way I could have worked The Beatles/McCartney into the title of this thread it wouldn’t keep getting buried! If only Lennon or McCartney had moved to Laurel Canyon during the late Sixties! They would surely had heard it then! Looks like there is going to be a standalone SACD release! The last time I saw the choir was at a Bulgarian church not far from my apartment in Chicago, St John of Rilia. My wife and I got there very early and were in the front pew, with no member of the choir more than 15 feet from us. It was astounding! I could feel my chest vibrate in sympathy with their voices, and was moved to tears at several places. IronWaffle, Front 242 Addict, Davmoco and 1 other person like this. I never got to see the entire choir, but I did get to see the Bulgarian Babes (as we liked to call the offshoot, Trio Bulgarka, who worked with Kate Bush). Front 242 Addict and Chris DeVoe like this. Once again..thanks for the 'heads up'! Front 242 Addict and ZiltoidtheOmniscient like this. Thanks for the video. Looks like a great package. Seems like I'll have to get the box with the lyrics so that I can sing along! For what it’s worth: Lisa only appears on four tracks. While I was hoping she appeared on all of it, a new recording from the Bulgarian Voices still makes me happy! I should take the opportunity to point out the influence Bulgarian choral music has had on Western rock and pop music. The 1954 collection titled The Music of Bulgaria was very popular among the artists living in Laurel Canyon in the Sixties. Frank Zappa cited it as one of his all-time favorite albums, but the biggest influence was on Crosby, Stills and Nash. Graham Nash, in his autobiography, talks about giving away more than 300 copies of that album to musician friends. The influence can be readily heard in songs like Music Is Love and Carry On. I believe I can hear George trying to play one of the songs on his guitar, on the "Fly On The Wall" disc of "Let It Be...Naked"!